You will notice in this edition that we report on various and recent arrests of those perpetrating insurance fraud and stealing from policyholders. As I was reading the newsletter draft before we went to press, I couldn’t help but wonder…”what if these crooks used their ingenuity and drive to do something worthwhile”? Then I read about South Florida fire investigator and rescuer Victoria Burgess who loves the water and uses that passion to help special Olympians and youth to surf, free-dive, fish, play beach volleyball and enjoy paddleboard racing. Burgess is involved in Surfers for Autism and with only about 2 years’ experience in paddleboard racing, she won a state championship by 13 seconds over the favorite in a six mile race. In her free time, Burgess and Kam coach the Broward County Special Olympics team, which won nine medals at a paddleboard competition in Key West. And just last week she paddled 28 hours from Cuba to Key West to make an approximately 100-mile voyage and break the Guinness World Record. What on earth are the crooks thinking? If you have a passion you want to brag about, tell us at LisaMiller@LisaMillerAssociates.comand I will assume no fraud involved! And get ready for an interesting read! I’m happy that so many of you were able to join us for our recent webinar “Industry Beware: Inside the AOB Epidemic”. What we learned from panelists Joe Petrelli of Demotech and Wesley Todd of CaseGlide was that better collection of data and use of analytics, coupled with a new method of looking at insurance company liabilities and surplus, are keys to providing “the true picture” of the rising costs of Assignment of Benefits (AOB) abuse in Florida. They’re also keys to needed legislative reforms as we heard from Paul Handerhan of the Florida Association for Insurance Reform. If you missed the webinar, a recording is available here. (http://bit.ly/AOBweb). Right on Wesley! Citizens Property Insurance Corporation President Barry Gilway said at the June 20 Board meeting I attended that an average of 1,250 lawsuits arrive monthly; almost half don’t dispute Citizens’ claim payments and arrive about 25 days after payment; and expected defense costs will be $70 million this year, 30% of which are attributed to plaintiff fees. Citizens has identified 20 law firms that file the bulk of AOB suitsin Florida. The company just put on hold until December a proposed 7.9% average rate increase on residential policies it blamed in part on rising AOB cases, while it awaits results from its managed repair program that formally starts August 1. Better data tools and analytics are part of the solution to Florida’s AOB problem, offered on the webinar. Wesley Todd announced the premier of the CaseGlide Index, a real-time index containing aggregate industry litigation data that previously hasn’t existed in one database. It can also serve as a central foundation for rating oversight by regulators, rating agencies, and the reinsurance marketplace. “We’re trying to cancel that $400 check each year,” he told participants. As many of you know, Joe Petrelli is President of Demotech, an actuarial analysis and insurance ratings firm that now looks even more closely at insurance companies’ reported liabilities and policyholder surplus. “A judicial decision reversing longstanding claims practices can increase the cost of losses and accompanying expenses. It’s important to adjust the reported numbers as required to see the true picture,” Petrelli told the webinar audience. Demotech changed its rating system last year to reflect, in part, Florida case law regarding AOB and the rising costs associated with AOB abuse. Both Paul Handerhan and I stressed to participants the need to better educate consumers, policyholders, and the Florida legislature, which has failed to pass any reform bills for the sixth year in a row. Our legislators have a hard time believing this is a problem despite existing data provided by Florida insurance regulators, which shows frequency, severity, and number of AOB claims all dramatically up. A second AOB webinarthis past week, sponsored by the Insurance Journal, also stressed the need for better education, including the expanded role agents could play in following-up with their customers following big storm events and innovative ideas for insurance companies to improve claims operations. 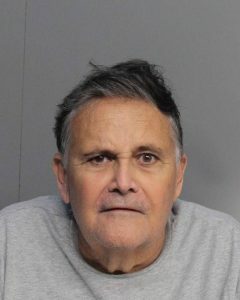 One of the biggest names in insurance fraud in Florida is now behind bars for likely the rest of his life, a public adjuster turned ringleader of a criminal enterprise that defrauded 14 insurance companies out of more than $14 million by setting fires to homes and then filing false claims. Jorge Espinosa Sr., 62, has been sentenced to 20 years in Florida State Prison and ordered to pay $1.9 million in restitution as part of a plea deal in an ongoing investigation that went on for more than four years. Espinosa owned Nationwide Adjusters and his time ran out in 2014 when he was arrested in a sting called Operation Flames and Flood. 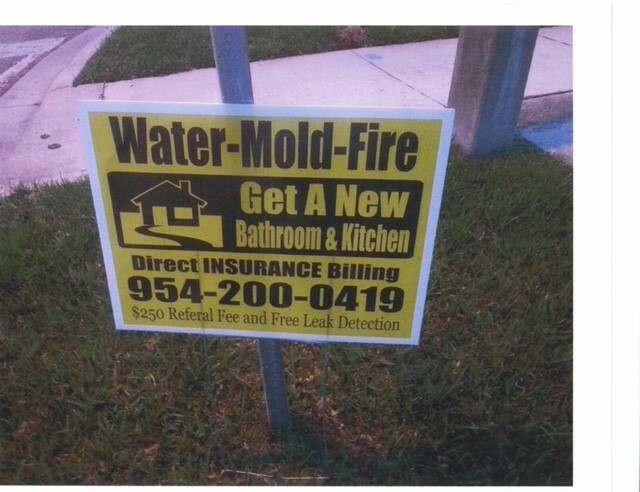 According to prosecutors, the racket included recruiting homeowners in Miami-Dade, Lee, and Collier counties and then intentionally setting homes afire and also creating water damage for the sole purpose of filing false and fraudulent claims. A second sting the following year resulted in 31 additional arrests – some of them Espinosa’s family members – all tied to his organized racket. Espinosa pleaded guilty to racketeering, conspiracy, and organized scheme to defraud, together with more than 28 counts of arson and multiple counts of insurance fraud and grand theft. He was not charged with an alleged plot to murder one of the prosecutors in the case. 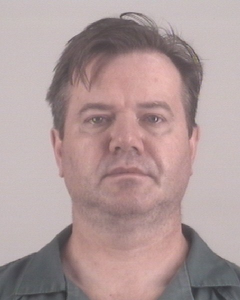 His son and daughter-in-law, also public adjusters, are awaiting trial on similar charges. For further details on the Espinosa racket, check out Scott Johnson’s blog. ‘Hail Yes’ he’s heading to prison! ment is expected to reveal a much bigger picture of hail claims fraud in the Lone Star state. A Texas Department of Insurance (TDI) investigation found multiple cases where Livesay filed lawsuits against insurance companies without the knowledge or consent of the homeowners, a familiar practice in Florida by a handful of lawyers. Livesay was previously found to have violated professional-conduct rules by sending case-runners to solicit clients with homes damaged by hail. As part of his plea agreement, he agreed to testify about others involved in the fraudulent scheme, surrender his law license, and pay restitution to the victims. According to the Texas Hail Claims Bulletin, Livesay has already implicated Jorge Garcia, owner of the House of Tomorrow Roofing Company and its predecessor Lambcorp. Garcia has been in all the news media, accused of defrauding nearly 100 Dallas-Ft. Worth homeowners for nearly $400,000 in hail damage insurance claims for “no-cost roofs” that were never installed. Livesay is also implicating public adjuster Sandra Harrison of PA Forensics and estimator Sandra Villareal of Global Estimating. He alleges that he paid them up to $1,000 per case as an “estimate fee”. Livesay and the others have been the subject of a class action lawsuit alleging theft of $500,000 of insurance checks. Tarrant County (Ft. Worth), where Livesay pled, is one of six locations around Texas were TDI has embedded prosecutors and investigators in district attorneys’ offices focused on fighting insurance fraud. According to the Texas Hail Claims Bulletin, TDI is increasingly pursuing cases against other public adjusters, as well as roofers engaged in the unauthorized practice of public adjusting. How to Buy Florida Real Estate on the Cheap? In the magical land of imaginative fraud that we call South Florida, federal prosecutors have secured their first guilty plea ever sought in Florida on bid-rigging in foreclosure auctions. Real estate investor Stuart Hankin recently pled guilty to taking part in a scheme to rig bids in online foreclosure auctions in Palm Beach County over more than three years, violating antitrust laws. 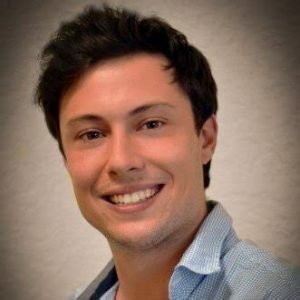 In an online profile, he boasts of using his Ivy League education to create a “systemized proprietary auction formula… to achieve a significant competitive market advantage.” Hankin is co-owner and founder of Prodigy Capitalof Palm Beach Gardens. He was indicted last November along with fellow Prodigy business partner Christopher Graeve, and a third man Avi Stern, accused of rigging bids in an unspecified number of online transactions from 2012-2015. According to court documents, the conspiracy utilized text messages and other electronic means to artificially lower the price paid at auction for such homes. The purpose was to crowd-out other bids so they could get the real estate at noncompetitive prices. These foreclosure auctions sell real estate so the proceeds can be used to pay off the mortgage and other debts attached to the property, with the homeowner getting any remaining proceeds. A lower selling price obviously hurts the homeowner and creditors. Palm Beach County moved its foreclosure auctions online in 2010 with thousands of properties sold online annually since then. In 2007 Stuart graduated from the prestigious Cornell University after 3 ½ years with a bachelor’s degree in operations research and information engineering with specialty in creating efficiency through mathematics, strategic business management, and statistics. The prominent Ivy League education provided intuition for the development of Prodigy’s advanced technical infrastructure, systemized proprietary auction formula, and established a data driven organization through strategic management, which allowed Prodigy to achieve a significant competitive market advantage. Hankin’s information engineering skill now has him facing a maximum penalty of 10 years in prison and a $1 million fine. In the past few years, the U.S. Justice Department has convicted more than 100 people for rigging public mortgage foreclosure actions in six different states, now including Florida. Anyone with information on bid rigging or real estate fraud can call the Antitrust Division’s Citizen Complaint Center at 888-647-3258. There’s more fascinating background on this case in this Daily Business Review article. The Union of Concerned Scientists in a recent reportsaid that nearly 40% of Florida’s property tax base may become “highly exposed” to tidal flooding caused by rising sea levels over the next 30 years. That would be more than any other state in the country. The report is based on Zillow real estate data and the worst case scenario on sea level rise developed by the National Oceanic and Atmospheric Administration. That’s where Florida’s sea levels would rise nearly 2 feet by 2045 and 6.4 feet by 2100. As previously reported in the LMA Newsletter, scientists have confirmed by direct device measurement that sea levels around Florida are back on the upswing, whether from any global warming or not. It could mean more frequent and severe flooding ifthe trend continues. This new report assumes sea level rise will continue and accelerate and lists the Florida Keys as facing the largest risk: 41%-60% of its property tax base at flooding risk by 2045 and 60%+ by 2100. The Tampa Bay region comes in second place, with 21%-40% of its tax base at risk by 2045 and 40%-60% by 2100. Third is Miami, with about 20% of its base at risk by 2045 and 21%-60% by 2100. While residential properties are most at risk, meaning “constant flooding”, numbering nearly 64,000 homes statewide by 2045, the report said that about 2,300 commercial properties will be in the same boat, worth $3 billion in value. “Once market risk perceptions catch up with reality, the potential drop in Florida’s coastal property values could have reverberations throughout the economy — affecting banks, insurers, investors, and developers — potentially triggering regional housing market crises,” the report said. Amendment 9is actually two proposals in one amendment. It wouldprohibit drilling for exploration or extraction of oil and natural gas beneath Florida coastal waters. It would also add vaping to the list of current prohibitions on tobacco smoking in enclosed indoor workplaces with exceptions – but also permit more restrictive local vaping ordinances. What these two provisions have in common is environmental health. There is long-standing concern over the ability to safely drill for oil offshore and in the event of a spill, the great economic impact it could have on Florida’s beaches and tourism – our number one industry. Likewise, there has been debate on the true health safety of vaping versus traditional tobacco smoking, both on the user and for those exposed to second-hand vapor. The amendment would prohibit drilling for exploration or extraction of oil or natural gas on lands beneath all state waters which have not been alienated and that lie between the mean high water line and the outermost boundaries of the state’s territorial seas. It would not apply to underwater oil and gas pipelines that transport products produced elsewhere. The amendment also prohibits “the use of vapor-generating electronic devices” in enclosed indoor workplaces, excepting device retailers. It specifically allows adoption of more restrictive regulation in the future, while permitting the devices to be used in private residences not used commercially to provide child care, adult care, health care, or any combination. The language mirrors that currently used to prohibit tobacco smoking. “Vapor-generating electronic device” means any product that employs an electronic, a chemical, or a mechanical means capable of producing vapor or aerosol from a nicotine product or any other substance. The amendment includes a list of such devices currently in use. If passed, the Florida legislature would be required to adopt laws to implement the vaping portion of the Amendment; the prohibition on offshore drilling would be self-executing. Amendment 9 was placed on the November ballot by the Constitutional Revision Commission, a group that meets every 20 years to consider changes to the state constitution. Read more here on how this proposed amendment was created. All proposed amendments to Florida’s constitution require a 60% majority vote to be approved. As many of our readers are Floridians, it’s important to know how each of these measures can affect us and our families, businesses, and employees. Knowledge is power! 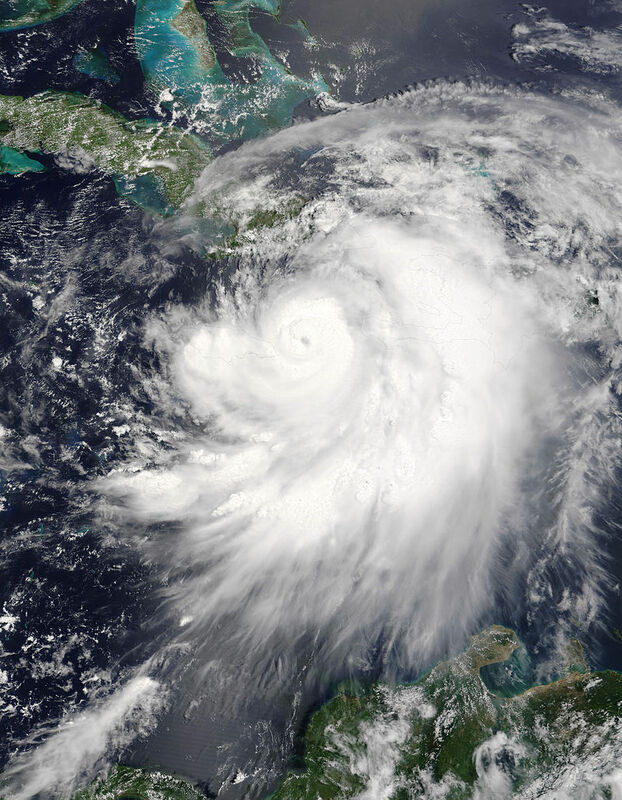 As we settle securely into the 2018 Atlantic Hurricane Season, there is always increased awareness of the threat of great storms and other weather-related disasters. As with any public policy matter, the debate often settles on reaching the sweet spot: How best to protect the most people (and their property) for the least amount of money. In an ideal world, there would be a solution that would protect everyone and be the cheapest solution, too – either in upfront mitigation or post-disaster payout. But we don’t live in an ideal world. Yet, we’re reminded in this recent Bloomberg articlethat if you have enough money, there really is a “hurricane-proof home” and it’s being built right here in Florida. Food for thought, as those of us in the everyday world try to pursue policies that balance increased safety and property protection with affordability.